Colleen is a California-based reiki master, budding herbalist, and writer for her personal holistic wellness blog, Om in Bloom. 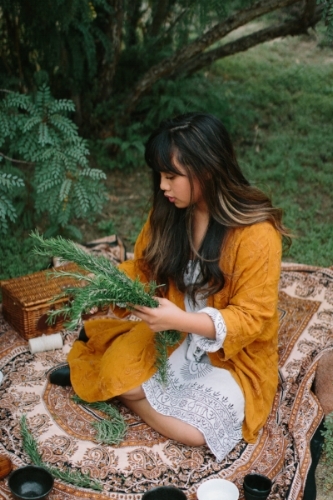 As a 2nd generation Filipina and advocate for people of color in wellness, she strives to inspire others to explore all the Earth has to offer through holistic practices. Over 10 years of Folk Dance experience with PASACAT Philippine Performing Arts Company in San Diego has exposed her to many beautiful intersectional lenses across various regions of the Philippines and ignited her passion and appreciation for her culture and history. Today, she continues to explore through her research in ancient Filipino healing, and hopes to uncover the holistic practices amongst her ancestry.